SAINT JOHN, NB – Moosehead Breweries has announced the release of the newest flavoured variation on its Moose Light brand, following such previous brand extensions as Moose Light Ginger and Moose Light Blackberry. The newest addition to the line-up is Moose Light Radler, a 4% abv beverage described as containing 85% beer and 15% fruit juice, the latter a blend of grapefruit, grape and lemon juices. Moose Light Radler is available now at NB Liquor stores, where it retails for $13.29 per six pack of 341 ml bottles. Love it, but I am not allowed to take grapefruit as I am taking a drug that it reacts with it. 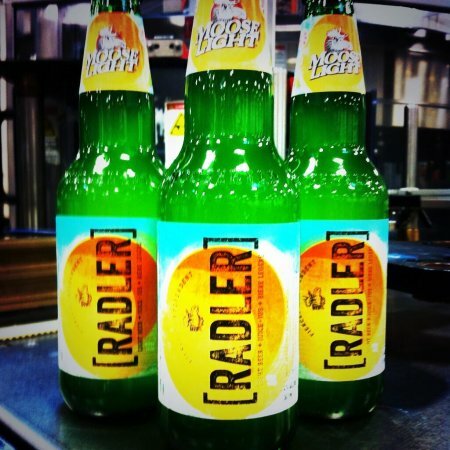 What is the % of grapefruit in Radler? Once I have that, I will check with my Druggist and maybe I can drink more..
Can I purchase Radler in Ontario? I tried it on a recent trip to PEI and thought it was great. Love these, in my opinion the best radler on the market! Hope they carry them locally again this summer!